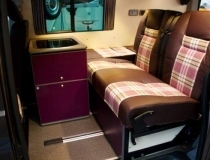 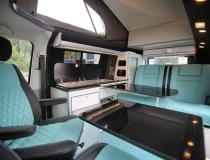 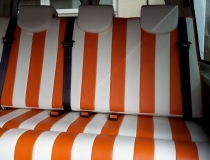 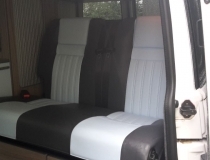 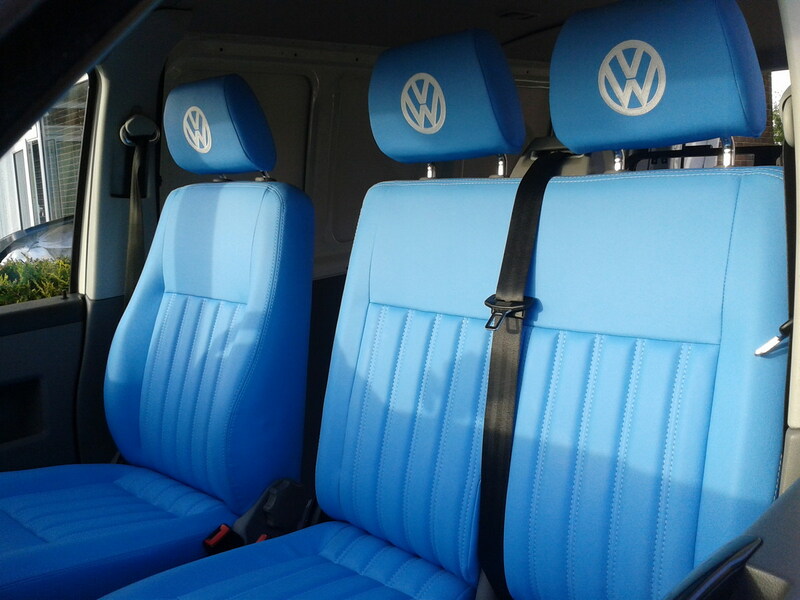 Our very own T5 front seats re upholstered in blue vinyl with twin stitched vertical fluting. 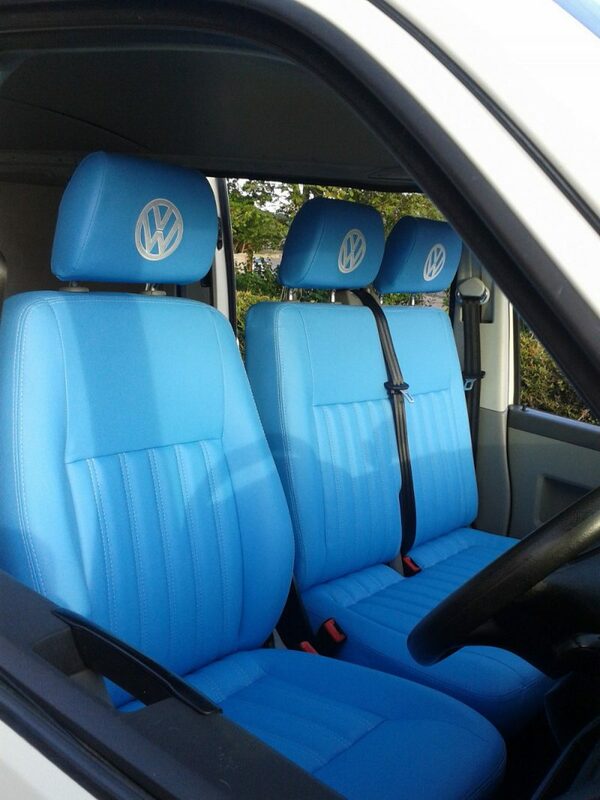 Complete with custom embroidered VW logo in the each of the headrests. 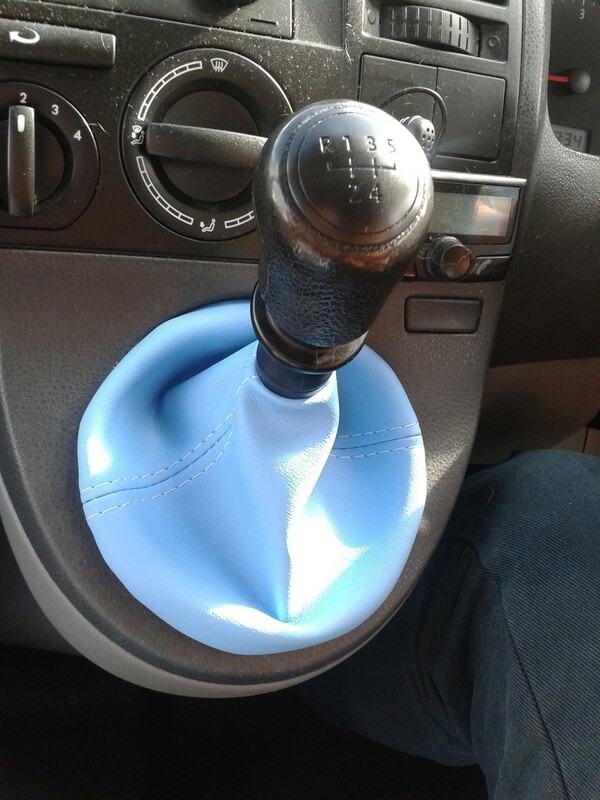 To complete the Re trim there is a matching gear stick gaiter.